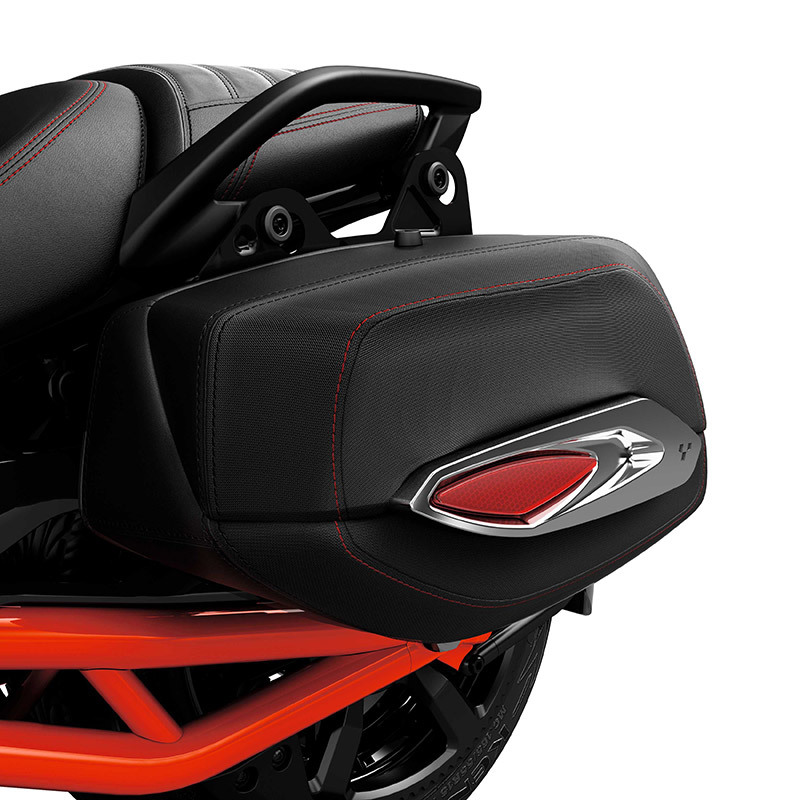 With Spyder F3, F3-S cross-country detachable saddlebags - Europe you can add a total of 50 liters of storage space. Add a total of 50 liters (13 US gallons) of storage space. Finished in high-end vinyl and with a metal chrome side hinge. Water-resistant and top loading, lockable with key. Toolless installation and removable in seconds after initial installation. Brackets are invisible when bags are not on. Bolts 250000869 needed to install 2015 Cross-Country Detachable Saddlebags (219400492 and 219400590 (EC)) on 2016 models. The Can-Am Spyder F3 model is a great starting point for your open road adventure, with its great engine, cruising riding position and bold style. Another level of performance and style with the new Sports mode and upgraded styling elements. The boldest and sportiest Can-Am Spyder yet, inspired by the legendary race track and machines that compete there.